When you manage a Facebook Business Page, knowing the right size and dimensions for your images goes beyond just your profile picture. How will your images display when you create an Event, share a link, or sponsor a story in the news feed? This comprehensive Facebook Image Cheat Sheet, courtesy of TechWyse, is a huge time saver for Page Managers. When it comes to Facebook, high quality visual content is vital. Be sure your images display to their maximum potential both on the desktop and mobile. Facebook Places in place of Yelp? 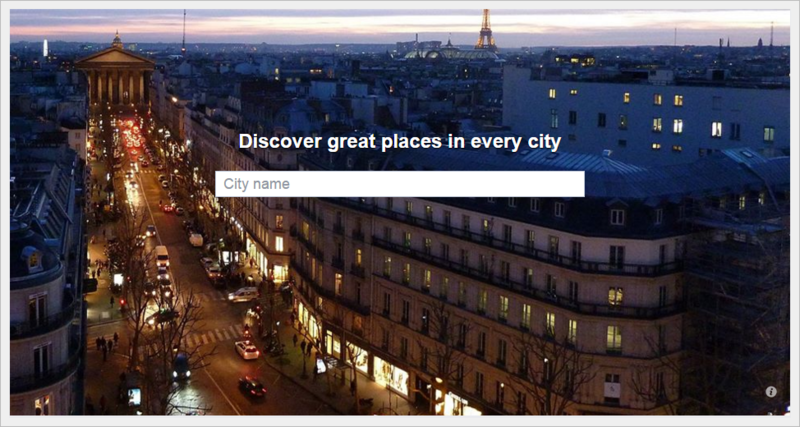 Whether you’re a frequent traveler, occasional traveler, or infrequent traveler, you’ve probably used Yelp to help acclimate yourself on where to go and what to do. And why not? It’s a convenient, easy to use tool for getting quickly up to speed on a new area or destination. Increasingly, performing some type of online research regarding any type of travel related activity, including dining, lodging, and shopping, is the new norm. According to a recent study on American consumerism, Americans not only use the Internet to stay connected to work, family and friends, 57 percent use social media networks for recommendations. However, there are many that would prefer to see recommendations and reviews from people they know and opinions they feel are bona fide – friends, family, colleagues, neighbors. Who hasn’t read a review on Yelp and paused momentarily to consider its authenticity? Yelp continually tweaks its algorithms to ensure posts from trustworthy reviewers appear first, and it does offer the option for users to connect their Yelp profile with their Facebook account. But in most scenarios you don’t actually know the person providing the review. This may cause you to pause yet again and wonder if you share the same likes and dislikes as the reviewer. What if their idea of spicy is not your idea of spicy? The pausing continues. The wondering continues. Can you trust this review? This is where Facebook Places, Facebook’s location based check in service, can provide recommendations, reviews, and Check ins a more reliable, familiar setting – they’re from your Facebook friends, which, hopefully, is people you know and trust, even if you’re not entirely sure of their definition of spicy. Immediately, you will see which of your Facebook friends have Checked in to your destination, as well as a variety of activities organized by category, including Eat, Drink, and Sightseeing. From here all the pertinent categories will be listed on the left, and all subcategories can be filtered and further searched and refined. 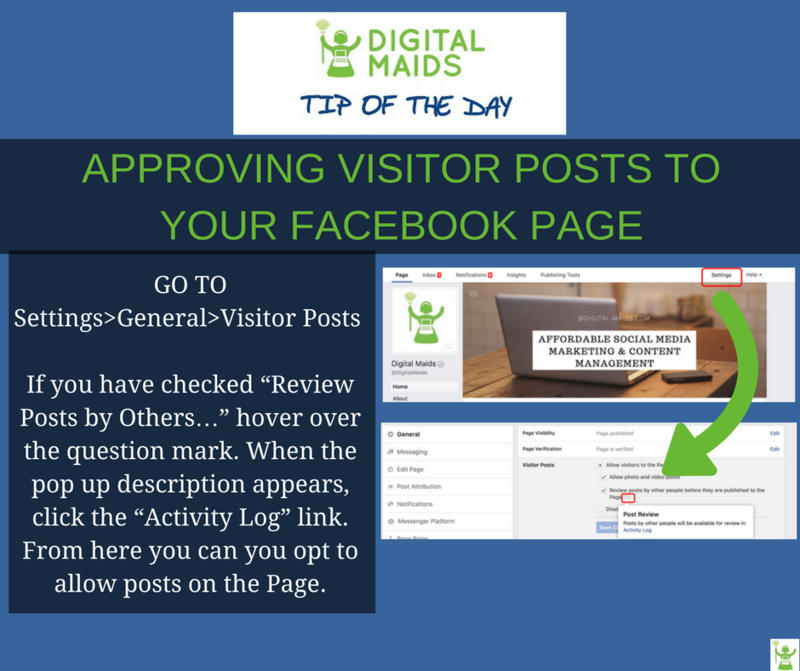 You can easily click to a Business Page of interest, providing more opportunity to scan posts, upcoming events, menus, or Page reviews from the Facebook community. In short, Yelp has great breadth and reach, and is ultimately easier to navigate. But Facebook Places is a viable addition for those who don’t like the anonymity sometimes associated with a Yelp review. For extensive consumer research, add both channels to your online investigating arsenal to get an informed opinion. 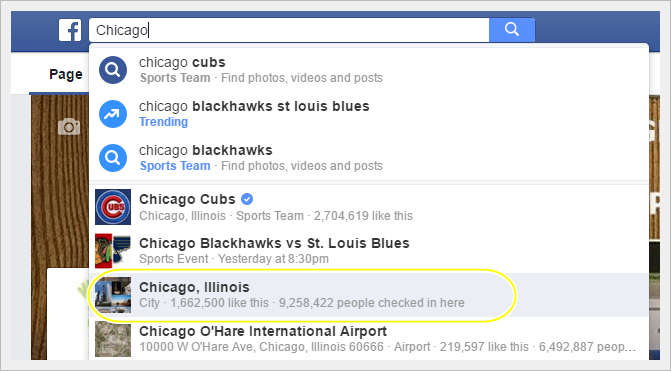 Business owner tip: Don’t forget to make it easy for Facebook Places to find you. Be sure to 1) use the Check in option in some of your posts (see screenshot below), 2) make sure your business category is up to date, 3) confirm your Page has been verified by Facebook and 4) enable user reviews and Check ins. 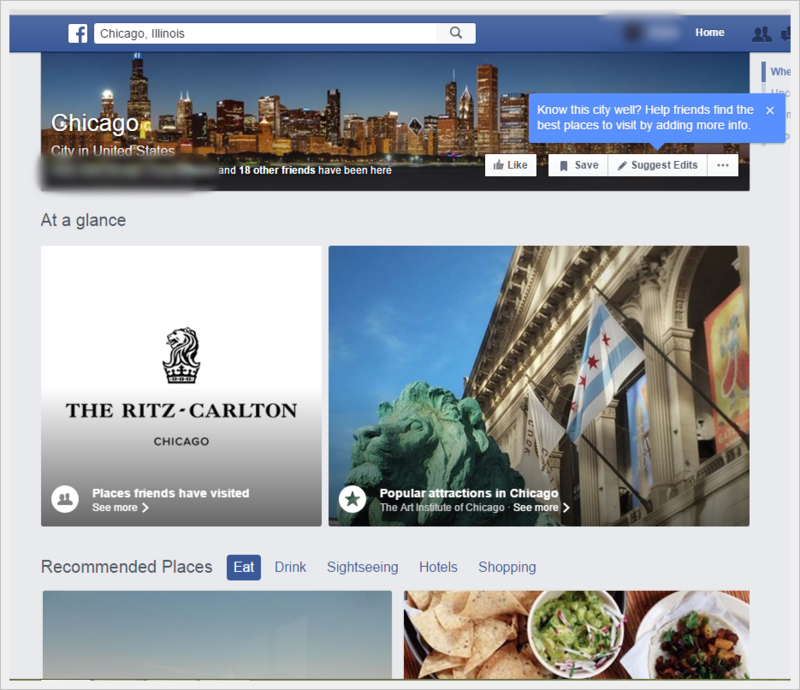 Do you use Facebook Places? What are you feel are its pros and cons? Comment and let us know. Words to live by, and no one understands this observation more than a social media manager. Like all 21 “relevant” social media channels, Facebook never stops tweaking, updating, and altering its features and functionality. If you manage a Facebook Page or Pages, this means how you interact and use your Page today could very likely be different tomorrow. You’ve probably noticed that Facebook revamped its settings in regards to how you access the newsfeed of your Business Page. 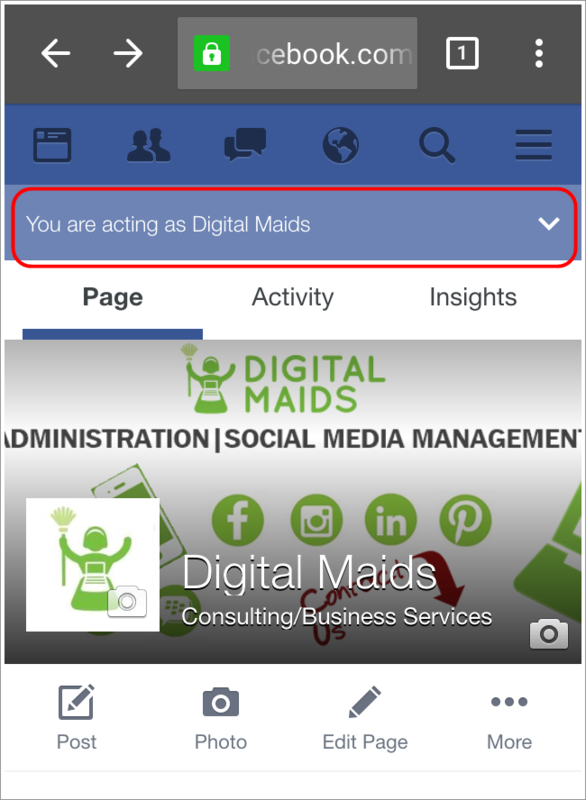 You no longer login as your Page to view the newsfeed of your Business Page like you do your personal newsfeed. 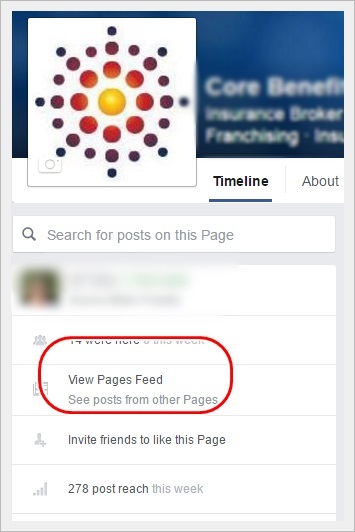 Now you select “View Pages Feed” to view, like, and interact with Pages your business has liked or is following. This link can be found under the profile picture. If you manage multiple Pages, you will see another drop menu. Select the correct Page and save. 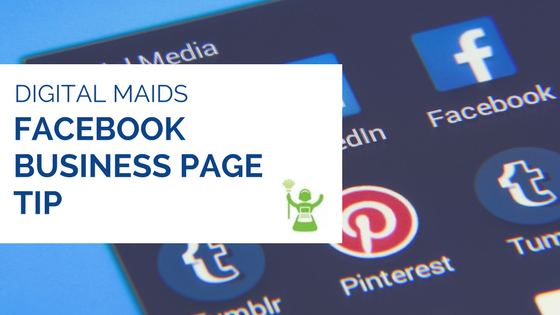 This recent update may have been made to reduce multiple logins, but it is a significant modification for businesses that regularly network and interact as their Business Page, and has not been well-received by the Facebook user community. If your Business Page receives numerous private messages, it’s always a good practice to acknowledge to the sender that their message has been received. Instant Replies does just as the name implies – sends an automatic reply to any initial messages. Given that’s it auto reply, be sure to add a personal tone to your message. Note that Instant Replies should never fully replace authentic interaction with your audience. They should be considered an initial acknowledgement of the message. Looking to book an upcoming event or simply let prospects know how best to contact you? If you have already set up your Facebook Call to Action (CTA) button to reflect this prompt, you can now promote your CTA button. Select the arrow located at the end of your CTA, and then select Promote. From there, you will see all the familiar ad options and fields, including budget, audience, and duration of promotion. What’s great about this feature is that in some scenarios a timeline post can’t effectively communicate what your CTA has already communicated – yet the only people seeing it are the ones who proactively visit your Page. By promoting it, the CTA appears in your targeted audience’s newsfeed. What recent Facebook Business Page changes have you noticed, embraced, or both? With so much social media, can I ditch my website? If you are a small business owner managing multiple social media channels – a Facebook page, or Instagram and Twitter presence, for example, in addition to your company website, you may wonder, does my company still really need a website? 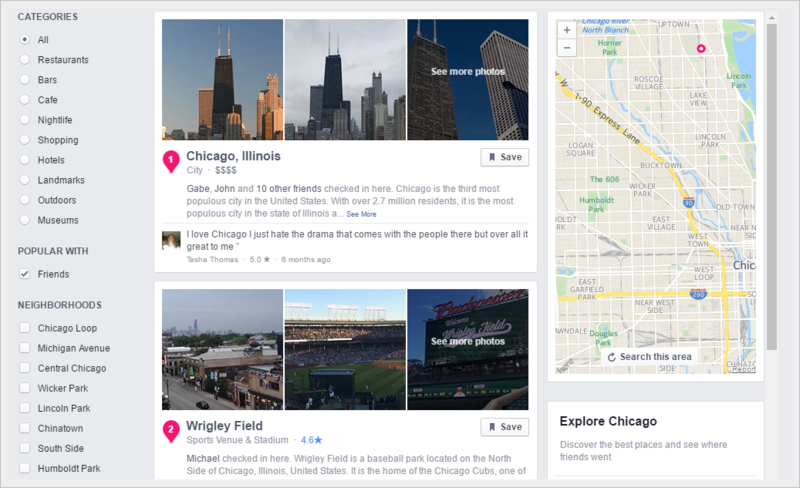 Facebook in particular continues to improve the functionality and overall look and feel of their business pages, all in the hopes to keep you posting in their space. Two criteria must be considered when making these kind of decisions for your small business. Money and time. Is it within the budget? Is it worth my time? 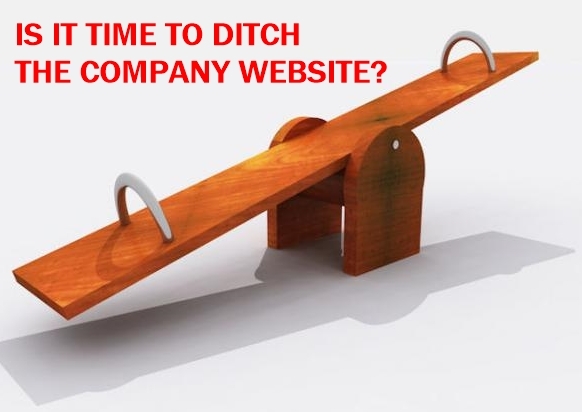 Although it is tempting to turn off the website and take it off your to do list, especially within the context of these two questions, there is still value to be found in maintaining a company website. If it seems crowded on the social media scene, it is not your imagination. Facebook recently reported nearly 1.5 billion million active users. Twitter, often aptly compared to an endless cocktail party of mixing and mingling, has similar high numbers, 307 million users. Given this extraordinary potential reach, having a consistent presence that is an extension of your brand is an essential piece of any comprehensive content marketing strategy. And if you are to B2C organization, an active social media page sends a strong signal to your customers that you are accessible and responsive to their needs. However, the possibility to reach millions of potential customers comes with staggering competition. Facebook alone has 50 million business pages. This partially explains why Facebook is constantly tweaking its newsfeed algorithm, and that Twitter may soon follow suit. It is an ongoing effort to not overwhelm and ultimately turn off its users with content deemed worthless. For businesses hoping to gain exposure through their Facebook business page, the continual shake up of the newsfeeds means that even your followers will most likely not see all of your posts. Most small businesses owners I have the pleasure to work with have a strong sense of purpose when it comes to managing their work and envisioning their product. Most often, this drive and commitment is what brought them to take the risk to go out on their own. It is also why it can be difficult to alter that vision in order to fit into the prescribed parameters of a social media platform. Cover photos are impactful and will surely raise brand awareness, but maybe not all the images you want to showcase are ideal for a 851×315 layout. With over 21 “important” social media channels constantly evolving and surely more on the way, there are vast opportunities to broaden your reach. But your website, that domain you bought, is just that – your domain. Reward your users from the moment they enter it with robust, informative content. Take advantage of not having to conform to the constraints of another platform to really communicate to users your value and distinctiveness. Although search within social media platforms are becoming smarter, your potential client is still most likely trying to find you through a search engine. And when you comb through all the tips and infographics on how best to boost search engine results (SER), when does a consistently updated company website not make the list? 1) A regularly maintained Facebook or [insert your customers most you used social media channel(s)] that reflects your content marketing strategy and brand + 2) a consistent landing page + 3) an easy to register for mailing list will create some content continuity for search engines and people both on and off of social media. What do you think? Is it worth it to maintain both a website and social media presence? 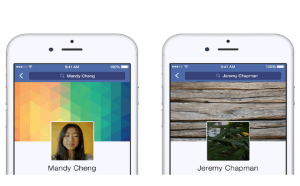 Facebook will soon make available 7 videos as part of their profile picture options. The feature will enable users to upload short – one second longer than a Vine – videos. 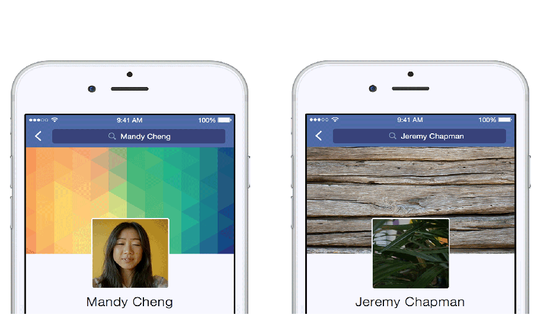 How will you use the expanded profile picture features to improve your page? However this drop down arrow option does not appear on Facebook mobile. The Facebook Page Manager app also does not give you the option to switch. So what to do when you want to comment as yourself from your phone? Open Facebook in the Google Chrome app*. Here you will have the option to post as your business page or as yourself. At some point Facebook will mostly likely correct this issue, but for now, Google Chrome is a good alternative. *This has not been tested on Android phones. If you have an Android and have used Google Chrome for this purpose, let us know. When you have great content for your social media space, it can be difficult to suppress the urge to share it instantly with your audience. But even the most stellar images and written descriptions benefit from a little pre-game prep. Making sure the I’s are dotted and T’s are crossed is a critical step in social marketing. Prior to posting, go to Bitly or TinyURL and quickly shorten any links contained in your post. Bookmark one or both of these sites for future reference. Your mobile audience will appreciate you taking those extra three minutes to complete this step. Note: Shares with links on LinkedIn are often automatically analyzed and shortened. Each social media platform displays images slightly different. Some, like Instagram, favor square images, while Twitter images should be longer in width and shorter height. For a brief rundown on image sizing for newsfeeds, please go here. There are many great photo editing apps such as Snapseed or Camera+ (both are best for iPhones) to help you display your photo correctly. Does your post have an intended tone? This can be challenging to convey through text. Read it aloud with as little tone as possible to see if the feeling you are seeking comes through naturally. Or if you have time, get a second pair of eyes. Someone who hasn’t seen or read your post can provide that an important fresh perspective. Does your hashtag flow? Or will the user have to sound it out a couple of times before it resonates? #neversettleonpasta, for example, is quicker to grasp than #neversettleonpastabecauseourpastaisthebomb. Every social marketer is striving to be unique and memorable with their hashtags. Comprehensible, however, trumps unique, and is easier for the audience to consume and retain. Whether built into the social media platform itself, or through external tools such as Hootsuite, there is a tremendous amount of data available to you regarding your social media content. One great piece of insight is knowing when your audience is most responsive. Give your content a fighting chance by sharing it when your audience is most engaged. By taking advantage of the data available, you give your post maximum visibility. 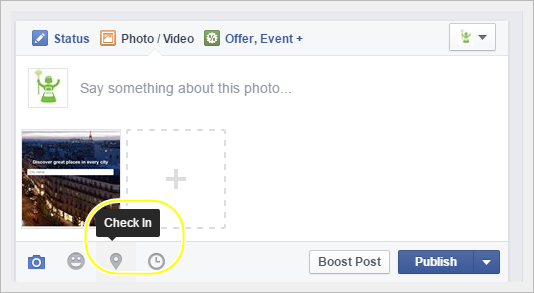 TIP– For Facebook business page posts, select “Schedule Post”. Then select, “See Post”. This is a great way to preview how your post will look when published, on both desktop and mobile. If it’s all systems go, select Actions>Publish. Or if your audience is more receptive at a later time, schedule it. Have a great image but unsure how it will show up in your followers news feed? 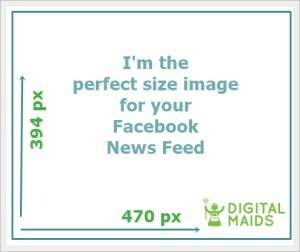 Here’s a quick guide on news feed image sizing for some of the most popular social media platforms. 470×394. Facebook will not crop, it will scale. Upload images with widths of 720, 960, or 2048 pixels for optimal quality, and Facebook will resize images automatically to fit the feed. 640×640. Think square, not landscape or portrait. Photos uploaded to Instagram can be a maximum of 2048×2048 pixels. 506×253. Think more landscape. Images pixels can be up to 1024×512. 350 minimum width. Since Google+ uses lots of columns, height varies. Google+ lets you see the full image when clicked, so bigger images do well. 238 pixels wide. Like Google+, Pinterest uses lots of columns in their newsfeed, creating a wide variation in image height. When expanded, the images will appear 735 pixels wide. Login to Facebook and go to the business page where you want to add your CTA button. Be sure you are a page admin for the particular page. 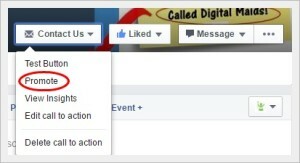 Select “Create Call-to-Action”, located in the bottom right of the cover photo. Add the URL you want users to go to. Under the weekly metrics on the right side of your Facebook Page, Facebook show how many people clicked on your Call-to-Action button. The challenge with the new CTA button? 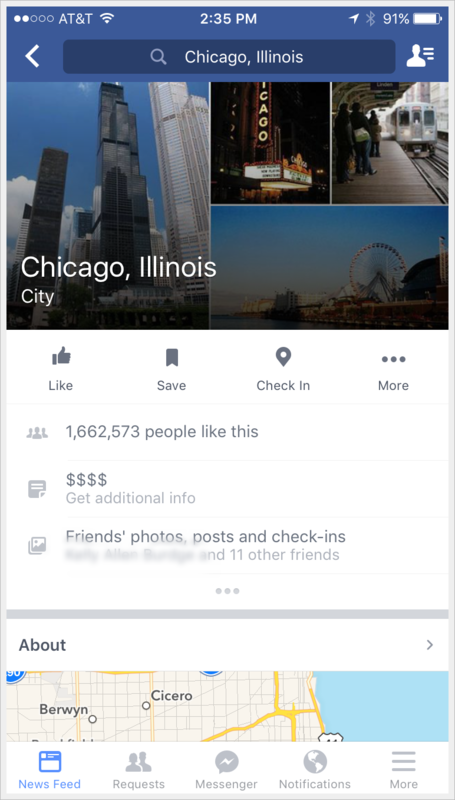 The CTA button is a new and somewhat unknown feature, and it doesn’t appear in the newsfeed. To enhance visibility, consider having your cover photo highlight or draw attention to the CTA button. 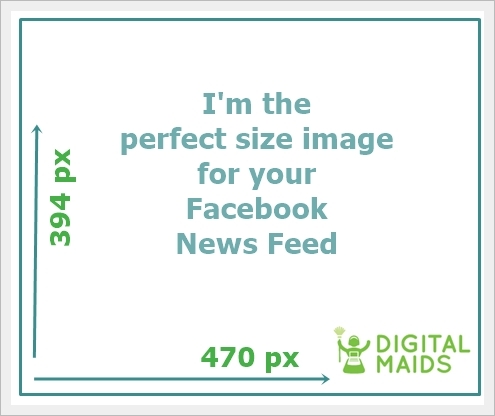 This will help when FB users find your page organically – and prompt you to update your cover photo!